Supplying and fitting the coffin complete. 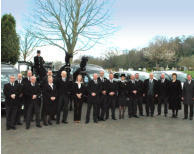 Organising bearers and vehicle for removal of the deceased to Trellis House, Dorking. Organising necessary bearers and staff for the funeral. Make all arrangements with hospital, nursing home etc. for removal of the deceased. Use of one of our private chapels of rest. 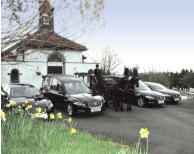 Use of the chapel of rest at Trellis House f or a funeral service. Last offices and hygienic treatment. Completing all certificates and applications on client’s behalf. Forwarding all necessary documentation to the cemetery or crematorium authorities. Arranging removal of existing memorial as necessary. Arranging for purchase of cemetery plot if required. Supplying medical certificates for cremation and arranging their completion. Arranging a convenient day and time for the funeral with client and cemetery or cremation authorities. Arranging for a Minister to officiate. Arranging transport for a Minister if required. Confirming all details of the service with those involved. 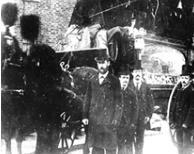 Provision of hearse and following cars. 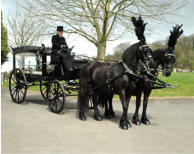 A horse drawn hearse can be provided if required. Dealing with all press announcements. Dealing with H.M. Coroner and police as necessary. Arranging for design and print of ‘Order of Service’ and ‘Hymn Sheets’ and arranging the ‘Order of Service’ with the Minister and client. Arranging for and attending, if required, at interment or other disposal of ashes. Arranging private autopsy if required. Professional attendance and supervision at all times.